As new information into the death of Ryan Holyk continues to pour out and city leaders consider how to revise the ordinance giving the ombudsman's office its authority, some police oversight advocates are asking whether Spokane's police ombudsman needs to take a look. City and police brass disagree on how the ombudsman could (or even should) investigate. Last week, Center for Justice Executive Director Rick Eichstaedt emailed Spokane Police Department Law Enforcement Director Jim McDevitt and Interim Ombudsman Bart Logue asking what role the ombudsman's office could have in the investigation. "There is serious concern in the community about the handling of that investigation — denial of the DNA evidence, late 'finding' of hat imprint, inclusion of discredited Zehm 'expert,'" he wrote. "Is there a role for Bart [Logue] in this process?" McDevitt responded that the situation was beyond the ombudsman's scope. "In my humble opinion it is beyond the OPO's (Office of Police Ombudsman) expertise and outside of his authority," McDevitt wrote. "This matter is in the hands of experts such as SPD (Spokane Police Department), WSP (Washington State Police) and others. At this point, I trust their expertise." 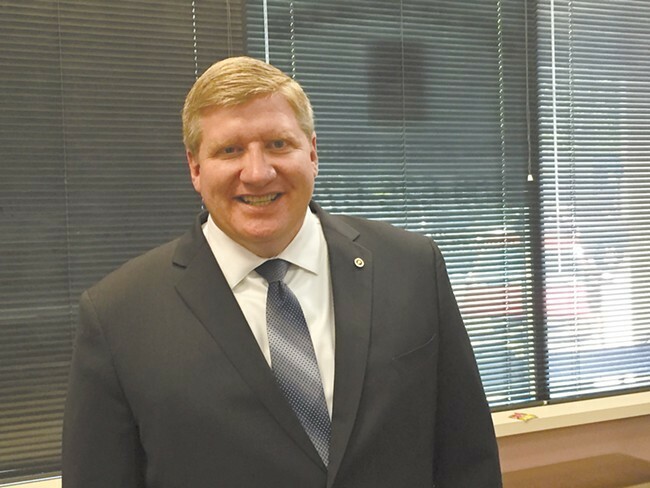 Logue, who has 25 years of law enforcement experience and a masters degree in forensic science, also responded: "I have no doubt there would be significant pushback from SPD. My ability to get them to speak about it would be minimal. Although this is not something that would typically fall neatly within the OPO and/or the [Spokane County Sheriff's Office Citizens Advisory Board], the blanket statement below is exactly why civilian oversight exists in this country. I think SPD's experts, who have not sustained a single OPO citizen complaint in 18 months, would certainly agree that their investigation was done correctly." Holyk, 15, died from head injuries after an incident involving speeding Spokane Sheriff's Deputy Joe Bodman. Two police investigations, including one by SPD's Sgt. Michael Carr, concluded that Bodman's vehicle missed hitting Holyk. A third investigation by an independent forensic accident analyst Jarrod Carter initially agreed with Carr's conclusion. However, Carter later found evidence that the vehicle did in fact hit Holyk, contradicting his own and Carr's conclusions. Indeed, general concerns about the SIRRT have been raised before by the Department of Justice in its 2014 review of SPD. "This lack of trust also arises from community confusion and misperception concerning several key processes surrounding [use of force] incidents," according to the report. "The public perception that the Spokane investigative regional response (SIRR) team investigations of [use of force] incidents is an example of 'cops investigating cops,' persists due to the lack of public knowledge of the team's composition and procedures." To be clear, the question isn't whether Bodman hit Holyk, nor is it whether SPD's Carr tried to cover for a fellow cop. The question is whether or not Spokane's police oversight office has the authority to evaluate investigations outside of the internal affairs process, especially when that investigation has been called into question. And if so, how? Spokane Police Officer Teresa Fuller suggests that because Carr conducted the investigation for the SIRRT, not for SPD, the ombudsman would have no authority. Deb Conklin, chair of the citizen-led ombudsman commission, suggested that a complaint submitted to the ombudsman's office could provide an avenue for Logue to weigh in. "We would treat it like any other complaint," she says. "My argument is it would be consistent with the function of the ombudsman's office, and there's nothing in the ordinance to prevent it or even suggest that it would not be a good thing to do." Tim Szambelan, an assistant city attorney who advises the ombudsman, believes it would be a "stretch of the ombudsman's role." Breean Beggs, a city councilman working to revise the ombudsman's authority, points to a specific place in the current ordinance that he believes would allow for Logue to initiate an investigation outside of a citizen complaint. "The [Office of Police Ombudsman] may independently investigate any non-disciplinary matter necessary to enable the [ombudsman] to issue policy and procedure recommendations," the ordinance reads. In other words, as long as SPD isn't currently in the middle of an internal affairs investigation into the matter, Logue has authority to assess Carr's initial investigation and suggest areas for improvement, Beggs says. In theory, Logue agrees with Beggs' assessment, adding that he believes he would have to wait until SPD finished the criminal investigation. "At the end of the day I want justice to be done just like everybody else," he says. "And I think a review of what happened after the fact to prevent it from happening again is absolutely worthwhile." Editor's note: this post has been updated to clarify that forensic analyst Jarrod Carter originally agreed with Sgt. Michael Carr's conclusions. After a reassessment, Carter found new evidence that contradicted those findings.